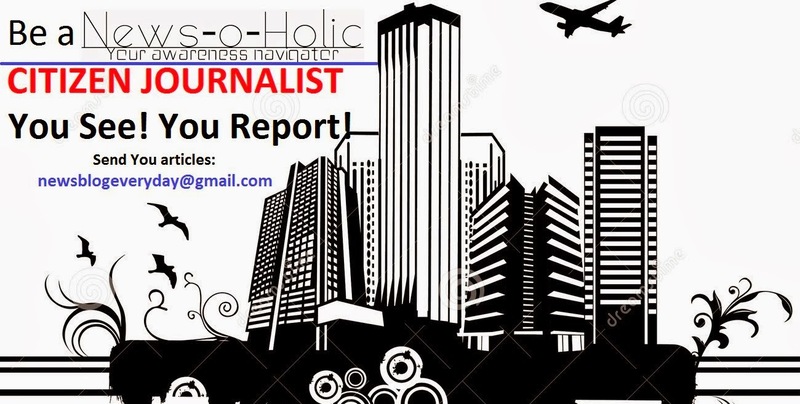 Home » Bollywood » Just In » Mumbai bureau » Special Articles » Jiah Khan’s death: SUICIDE or MURDER? 9th November’ 2013: Mumbai: The forensic investigation by Dr. R.K. Sharma into Jiah Khan’s suicide case has raised serious doubts on her death. The Kalina Forensic Science Laboratory (FSL) has found out forensic evidence which might bring a new breakthrough in the case. A report claims that the nail clippings of Jiah were sent to FSL on 5TH June, a day after her autopsy was conducted at J.J Hospital in Mumbai. In their 16th August report, the experts stated that they found out bloodstains from the nail samples of both the hands. Though they were unable in establish the blood group, they also perceived ‘Human Tissue Matter’. Mid Day reported that Dr. Sharma, has raised serious doubts over the suicide and in his interim report has concluded that ‘homicidal hanging in this case may be a possibility. Dr. Sharma is an independent forensic expert and was the head of Department of Forensic Medicine and toxicology at AIIMS in New Delhi. 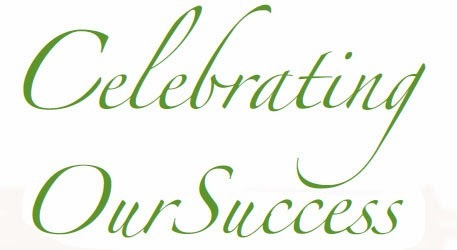 Dr. Sharma is currently the President of Indian Association of Medico Legal Experts. 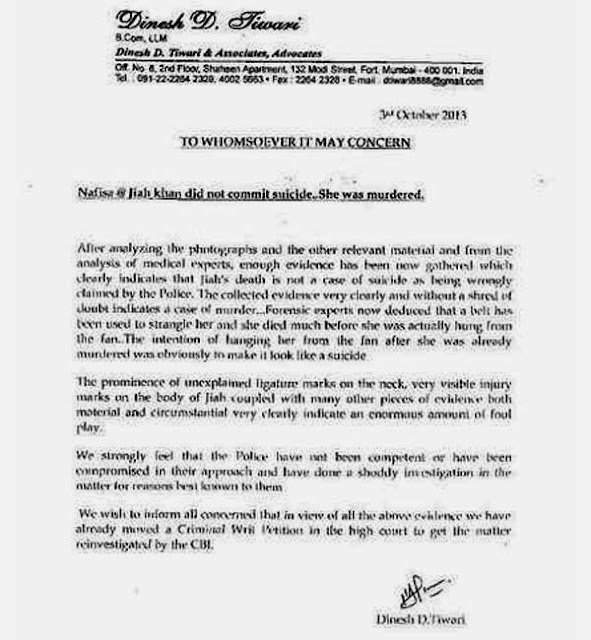 Rabia Khan had approached Dr. Sharma, who has posed for watching the video of Post Mortem conducted at the JJ Hospital. (size of 0.3 cm) on the lower lip were not cut to know freshness and extent. Both lungs were congested and collapsed. This is not a feature of asphyxia. Weight of lungs is not mentioned, which is very crucial. Since in this case alcohol has been detected in high concentration in the stomach, doctors who conducted post-mortem failed to notice any smell. Photographs of Jiah Khan's dead body released by Rabia Khan. Post-mortem examination was not done properly, as injuries on the body are missed out. It is essential to examine video recordings to appreciate injuries present on the body. The deceased was incapacitated because of high alcohol concentration in her body. Presence of injuries may be reflective of struggle, or person holding her tightly for suspension. In such circumstances, it is possible for an able bodied person to hang an incapacitated person. Investigations at FSL are not done properly as per scientific procedure. Non-submission of nail clippings for DNA analysis is a grave error. Destruction of sample is not acceptable. It is very essential to examine a video–recording of the post mortem examination to reach the correct cause of death. Homicidal hanging in this case may be a strong possibility. 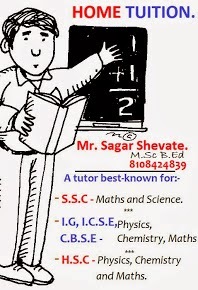 I will submit my final report after examination of video recording. Jiah Khan, an actress, was found hanging inside her first floor flat at SagarSandhya Apartment in Juhu. 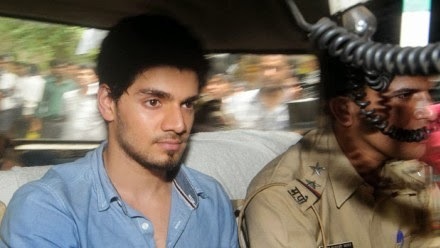 Actor Aditya Pancholi’s son Suraj Pancholi was rounded-up by the Juhu police in the aftermath of the incident as Jiah’s mother Rabia Khan claimed that Suraj had been harassing her. Suraj Pancholi was interrogated by Juhu Police. An online portal Bollywoodlife.com reported that Suraj had a record of violent behavior. The website even reported that he was involved in a brawl with a neighbour some time ago and allegedly was abusive towards then reported girlfriend Kangna Ranaut. Six days later a six pages note was obtained from her room. The note was found by her sister Kavita and was handed over to the police. The family also provided the handwriting samples of Jiah Khan. The family made the note public as they believed that career was not the reason behind her suicide. The note further says: “You chose to be away from me on Valentine's Day. You promised me ... once we made it to one year, we would get engaged. All I wanted was you and happiness. You took both away from me. I have nothing left in this world to live for after this. I wish you had loved me like I loved you. I dreamt of our future and success. I leave this place with nothing but broken dreams and empty promises. All I want now is to go to sleep and never wake up again. I am nothing. I had everything. I felt so alone even while with you. You made me feel alone and vulnerable. I am so much more than this. It goes on to state: "I didn't see any love or commitment from you. I just became increasingly scared that you would hurt me mentally or physically. If I stay here, I will crave you and miss you. So I am kissing my ten-year career and dreams goodbye." 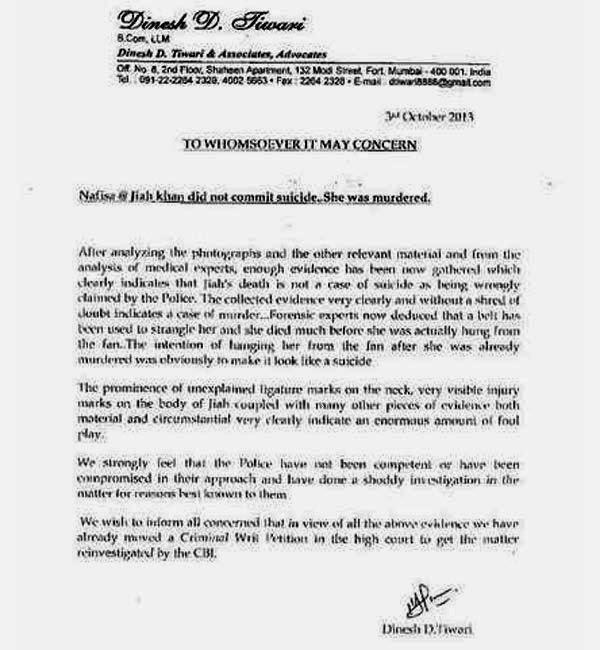 The letter by Mr. Dinesh Tiwari, Rabia's lawyer. On the basis of the forensic report Jiah’s mother and lawyer Dinesh have knocked the courts door, seeking a CBI probe into the case. However the Bombay High Court rejected the demand for a CBI probe but ordered a fresh investigation into the matter.